TAIPEI, Taiwan, Oct. 24, 2018. 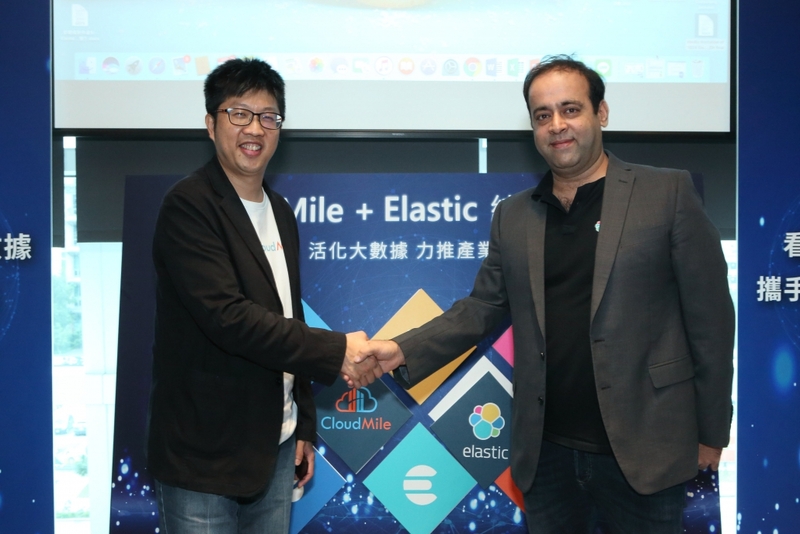 Today at an event in Taipei 101, CloudMile announced its latest partnership with Elastic, the leading search company. Together the two companies will assist Taiwanese companies in using their big data to make better business decisions. The partnership also encompasses a march toward supporting the nearby Southeast Asian market. Jill Shih, the CEO of cryptocurrency exchange, COBINHOOD and Kevin Huang, the co-founder of CHOCO TV, a well-known OTT company in Taiwan, spoke at the event to show their support of the partnership. They were on hand, with other attendees, to witness a milestone in the expansion of the data analytics and search market in Southeast Asia. With clients around the globe including Netflix, Airbus, eBay, Grab, and Citigroup, Elastic will now offer its technology and solutions through the CloudMile partnership. Founded in 2012, Elastic offered an open-source search engine, Elasticsearch, which was based on Apache Lucene. Today its offering includes the Elastic Stack (Elasticsearch, Kibana, Beats, and Logstash) and Elastic Cloud (Elasticsearch Service, App Search Service, Site Search Service) which are widely used in search, logging, metrics, security, and analytics use cases. Elastic succeeded in optimizing the search experience with different product combinations guiding users to analyze and index structured and unstructured data. To date, Elastic has had their products downloaded over 350 million times, has developed a community of more than 100,000 meetup members in over 100 countries, and has more than 5,500 subscription customers. 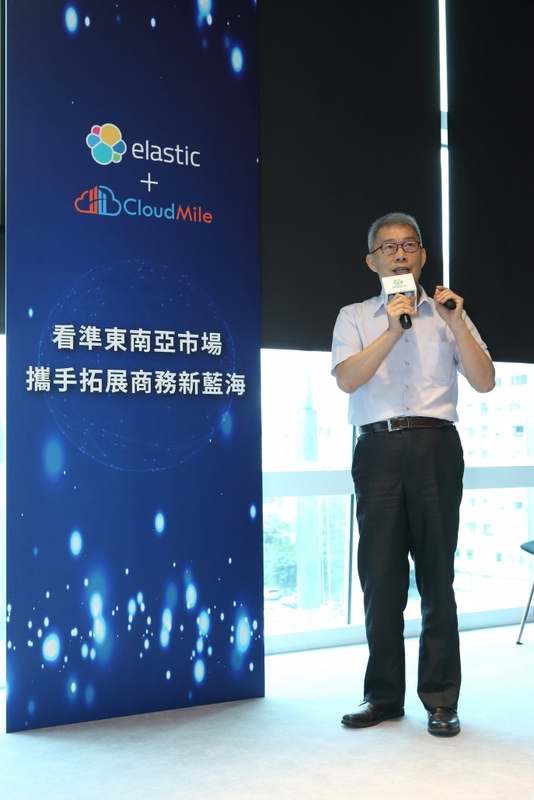 Considering Taiwan’s burgeoning market potential, and its geographical location in Southeast Asia, Elastic decided to collaborate with CloudMile, a Cloud service provider specializing in AI, in its aim to expand into the Asian-Pacific market with customized services. Built on an open source foundation, the Elastic Stack lets customers reliably and securely take data from any source, in any format, and search, analyze, and visualize it in real time. 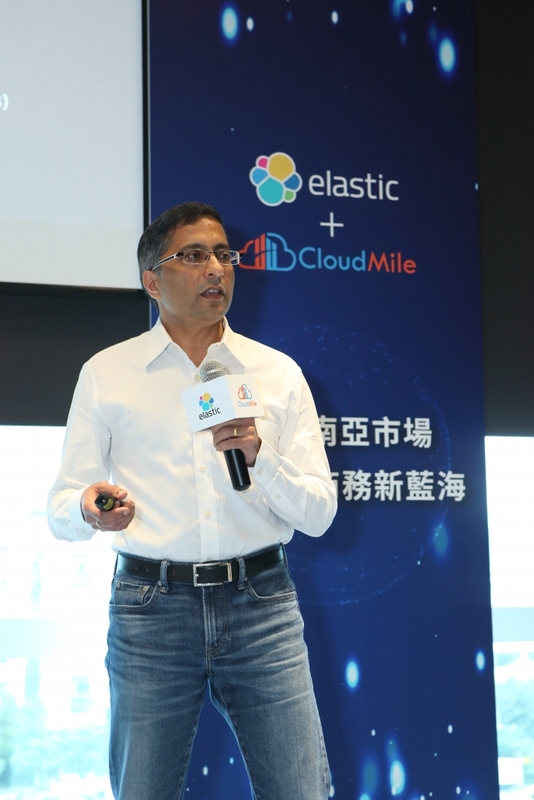 Pankaj Khushani, who manages Asia-Pacific partnerships for Elastic, mentioned: “We chose CloudMile as a partner due to their solid technology expertise as well as their skilled staff, to assist us as we go to market in Southeast Asia. Founded in 2016, CloudMile specializes in AI technology, adopting deep learning and big data analysis to assist in business predictions and progression; also, CloudMile offers consultancy on Cloud management and solutions. CloudMile is an Asian provider of AI and Cloud services. Our team gathers talents from the 80s and 90s. Respectively specializes in Cloud technology, artificial intelligence, machine learning, big data analysis and other fields. As a Google Cloud Premier Partner, CloudMile’s technical expertise has obtained official certifications including Cloud Architect, Data Engineer, and Infrastructure Specialization.